You are here: Home / Trending / Cadillac’s Super Cruise: Will it work? Way back in 2012, Cadillac first announced that they were working on something big that would change the automobile industry forever. They were actively working on a self-driving system which would essentially drive the car without any human intervention. This may have seemed ludicrous five years ago but self driving cars are now a part-reality thanks to Tesls Inc.’s huge advancements in the field. Cadillac’s Super Cruise system is more or less based on the same platform that the Tesla cars operate on but Cadillac’s cars aren’t fully electric. Cadillac has always been known for their plush and luxurious cars which make heads turn. With this possible addition to their line up, Cadillac will make a name for itself in the automobile industry yet again. According to reports, Cadillac is all set to incorporate the driving system into the CT6 sedan but only limited to North America. 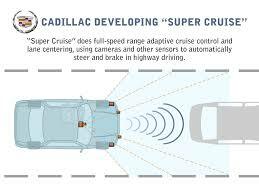 The Super Cruise system works partly using Cadillac’s existing driver assistance technologies. 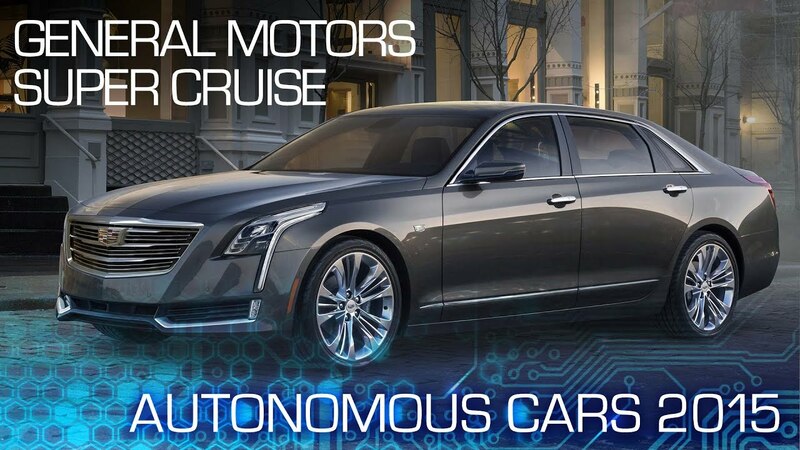 The rest of the technology has been newly developed and will allow the CT6 sedan to steer itself, brake on its own, maintain lanes and even change lanes, all; without the touch of a human hand. The system has been well thought out and even uses LiDAR systems which actively map North America and will provide real time information about the route and traffic to the computer onboard the car so that it can make changes to its speed and other aspects. Where the company proves its mettle, however is in its driver attention system which was a gaping hole in the Tesla Autopilot System. While Tesla did not have much of a driver warning system, the Cadillac CT6 will feature a steering mounted camera places at eye level which will monitor the driver in real time to make sure the driver is alert and ready to take control of the car at a moment’s notice. If the car detects something wrong with the driver, it will bring itself to a controlled stop and will immediately contact emergency services. This is done using an onboard telematics system. Currently, there is no news relating to the pricing or the launch date of the 2018 model but it is expected to launch in late 2017. The car will be offered with the Super Cruise system as an option in lower trims and as standard in the top level trims. There is no information related to the pricing as well. Watch this space for updates relating to this car and automobiles in general.